Xu Beihong was born in a poor family, his childhood with his father Xu Dazhang to learn poetry calligraphy (at the age of 6 with his father read later learn The Four Books and the Five Classics, painting). 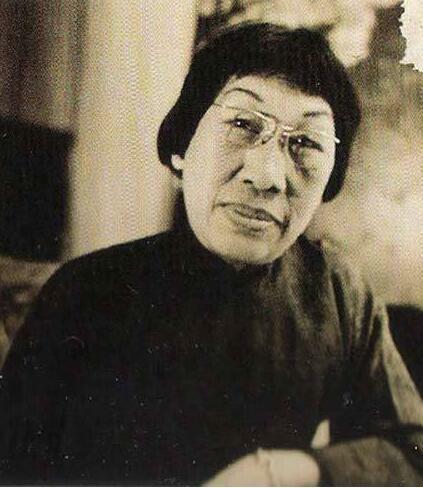 Born in a family of civilians in the town of Qi Ting Xu Beihong, formerly known as Shou Kang, later renamed the "sad" older". Father Xu Dazhang is a private school, to poetry, calligraphy and painting classes, often invited people to paint, seek to fill the small household. Mother Lu is a simple working woman. The 9 year old Xu Beihong officially from the father of painting, the daily lunch after copying in the late Qing Dynasty famous Wu Youru's paintings, color, color painting and learning skills. At the age of 10, has been able to help his father in the minor part of the screen the fill color colors, but also for the people to write "and Shitai, and" Spring Festival couplets. 13 year old father was in the township village, sell the painting for a living from home. 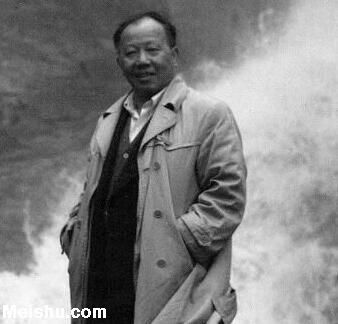 Leave the hometown days although hard, but Xu Beihong's rich experience, explore its artistic vision. At the age of 17, Xu Beihong was the most developed business alone to Shanghai to sell paintings for a living, and would like to take the opportunity to learn the western painting, but after a few months because his father was seriously ill and had to return home. At the age of 20 came to Shanghai again, in the help of friends, he was admitted to the French Catholic church sponsored Aurora University laid, French foundation for the day after studying in france. It met the painter Zhou Xiang, the famous South of the Five Ridges school representative Gao Qifeng, Gao Jianfu, got approval and guidance in their paintings, enhance the confidence of painting. He also met the reformist leader Kang Youwei, in its influence to establish their creative ideas. In the Kang's "scorn and the influence of the concept of art, respected song", he is not seeking new ideas on heavy ink "and" to be demoted thin, that only the Tang Dynasty Wu Daozi, Yan Liben, Li Sixun, the five generation of the Northern Song Dynasty Huang Quan, Li Cheng, Fan Kuan et al have the profound essence of realistic painting. In support of Kang Youwei, he observes a variety of ancient monument extension, stone Valley "," concentrated copying "Cuan Longyan monument", "stele of Zhang", "Shimen Ming", deep Tangbei essence, calligraphy can grow. After visiting Tokyo to study art in Japan funded, in Japan, Xu Beihong enjoyed the public a lot of treasures Masterpiece Collection, Japanese painter can feel deeply knowing in creation, in the creation of realistic truth, but in the creation of a lack of ink pen rhyme China literati painting, no Yun park by shigeyuki wind. After returning from Japan, Xu Beihong was employed as the tutor of Peking University. During the period of Beijing, Cai Yuanpei, Chen Shiceng,, and other celebrities from all walks of life met in succession, influenced by the new culture movement thought, and established the thought of democracy and science. 1919 went to study in France, was admitted to the Paris national art school to study painting, drawing, and travel in Western Europe, to observe the study of Western art. The Beiyang government funded, 24 year old Xu Beihong went to France to study painting. At the beginning of his visit to Europe, he visited the British Museum, the National Gallery, the Royal College exhibition and the French Museum of the Buddha's palace, witnessed a large number of outstanding works since the renaissance. Xu Beihong felt that they have made in the past China painting "in the hands of non Jing Fang Yi, not moving in the rope, without the habenular difficult to control the horse." Then, he assiduously painting school, and was admitted to the Paris art school, taught by Mr. Flamant G, began to receive formal education in Western painting. Good at historical themes of the Flemish lattice figure painting, the painting is not to detail and pay attention to color collocation and harmonious mutual contrast, has great influence on the formation of Xu Beihong after the style of painting. Xu Beihong daily with the basics of Western painting, the morning school of Fine Arts in Paris, Syria to Leon Institute of painting modelling afternoon, sometimes also take time to go to watch a variety of exhibitions. During this period, he met the famous painter Coehlo disciple of the masters of the back, every Sunday at Yang carrying painting studio. As "not for fashion, not Yang Gan small" and focus on silent painting art has great influence on the thought of him, so he did not follow the growing prosperity of the modernist style of France at that time, but since we delve into the European Renaissance School of art, in succession the shape characteristics of classical art rigorous perfect at the same time, mastered the skill painting skills. After studying for 4 years, Xu Beihong's painting level has reached comparable with the European artists in the same period, his oil painting old woman was selected for the National Art Exhibition (Salon). Northern government was suspended because of tuition, Xu Beihong was forced to go to a lower level of consumption in Berlin. Where Xu Beihong still misses every opportunity to learn. He turn to the painter CommScope, to the museum copy of the famous painter Rembrandt painting, and often go to the zoo to draw lions and tigers, horse and other animal, to improve their ability to paint. When Xu Beihong regain funding to study abroad, they immediately returned to France from Germany to continue learning. He seize every inch of time, teachers in a formal and systematic training and his efforts to study diligently, painting level has improved, created a series of portraits, to the human body, the scenery as the theme of the outstanding drawings, paintings, such as "Fu", "stick to the cat like old man", "self the portrait of" etc..
Xu Beihong in the final stage in Europe has also visited the Belgian capital Brussels, Italy, Milan, Florence, Rome and Switzerland etc.. The beautiful scenery of the exotic intoxicated him, European painting masters of the works to his benefit. For 8 years in Europe on his career, plastic life aesthetics, creative ideas and artistic style. Xu Beihong learned at the age of 32 this year to China, began in the country engaged in art education, the development of his art career. He participated in the Tian Han, Ouyang Yuqian in the "Southern Society", advocating "beauty and goodness before seeking" the spirit of South china". He has created a painting based on the history and ancient fable, these paintings by ancient metaphor, from the viewer can strongly feel the artist loves the motherland and the people's sincere feelings. In 1931 the Japanese invasion of China intensified, the occasion of national peril, Xu Beihong wrote to the national attention and recruitment of personnel of Chinese painting "nine party" Gao; in 1933 the creation of a painting "Xi I", expression of desire for a gentleman of the suffering people; in 1939 the creation of "miss Jeanne portrait", as one of the most famous portrait painting Xu Beihong, for the support of domestic war; in 1940 completed the "Chinese painting" Chinese people praise great determination and courage, firm and indomitable perseverance and indomitable will to win the final victory. In addition, the creation of the "Ba", "Ba," poor women reality theme, "Lijiang spring", "the day after" and other landscape theme as well as a large number of portraits and animal themes. The establishment of the new China after 1949, Xu Beihong served as chief administrative work at the same time, still kept on writing, enthusiastically described in the construction of Chinese new people and new things, new look. He is the hero portrait, to guide the whole Yi Shu Shandong water conservancy project site for migrant workers, the experience of life, portraits, collect the construction material to reflect the new China every little bit. Unfortunately, because of all this painter prematurely passed away an art activity. From 1919 to 1927, Xu Beihong arrived in France, the modernism genre is popular in Paris, but he follows advice "not for instructors are not small, careful study of Gan" European Renaissance art masterpiece, trained painting skills. After 1924, further mastery of painting rules, to mature in 1926 to enter the first creation peak, admission this year "I have made the most, and fine yi". Oil painting of this period are: "the old woman" "to" "Fu" old stick description "self portrait" "Xiao" "yellow" and Zhenzhi like "body man" "woman's body" and other assignments. He left nearly a thousand drawings, mostly works of this period. From 1928 to 1936, during this period, his creation is extremely abundant, forming a clear realistic art style, become an independent school in Chinese modern painting history, the representative of "Tian Heng five hundred +" (1928 ~ 193O) "nine Gao Fang" (1931) Xi "I" (1930 ~ 1933). These works concentrate on his patriotism and humanitarian thought, representing the main creative road of his life. For example, "I Xi", from the "Book of Songs" "I Xi, later the Soviet" sentence, means that people expect the monarch to rescue. The picture depicts a group of rural areas suffer from drought, everyone in the field back and look, look forward to the rain. It's just made, the Japanese imperialist invasion of Northeast China, the Chinese nation is on the brink of crisis, tortuous performance of patriotism painter on people's deep sympathy and sincere. China in painting, the works of this period and a large number of high achievement, painting is more cattle, horses, lions, birds, modelling concise, lively and vivid. The famous works include "Ma" "day long as" small "cattle" "new life" active "Han" "" "wind morning song" etc..
1937 ~ 1945, this is the heyday of Xu Beihong's artistic creation. Has created a "rain crow" (1937), "Lijiang spring" (1937), "Ba" (1937), "water" Gunma (1940), "(1940), great determination and courage" as "Tagore" (1940), "horse" (1941) "vulture" (1941), "the lion" (1943), "goddess" (1943) and other famous works. This period is also the artist in the ideological and artistic style of highly mature period. July7incident, the Xu Beihong "yaokan interest group, to work at ponley, to brush for weapons, put the Anti Japanese national salvation struggle. He painted a leaping lion, long horse, mighty Gridhrakuta, expression of the aspirations of the Chinese nation to awakening. His painting China lives "" based on "great determination and courage for instance, Tang asked a fable" in the article, in order to show the Chinese nation unite, firm and indomitable faith, to defeat the Japanese invaders. From compassion to man, this is a sublimation of Xu Beihong's artistic thought. The painter prepared for this painting for many years, drawing a lot of precise figures sketch, and had considered painting or murals in the form of performance. The painting in the composition and use of color ink techniques, drawing China painting expressive force, but also a combination of sketch modeling accuracy, without the original form before the theme. From 1946 to 1953, during this period, Xu Beihong continued to adhere to the "learning from nature in art education and painting creation, seek the truth" of artistic ideas. He saw his past deficiencies from Jiefang District art creation, the courage to accept the truth of revolution, into people's lives, performance combat hero model workers and revolutionary leaders, opened up a new field for their creation. The main works of this period are: "oil painting" combat hero "naval fighters" "hero like" Xide Tai, "horse" China painting "double magpie" sketch, "Chairman Mao in the people" (drawings) "model worker" and "Lu Xun and Qu Qiubai" (Draft). 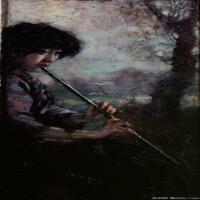 Good at sketch, oil painting, Chinese painting. He incorporated western artistic techniques into Chinese painting, creating a novel and unique style. His sketch and oil painting permeate the Chinese ink and brush. His works cover a wide range of subjects, landscapes, flowers and birds, animals, characters, history, mythology, all to God, true to life. His masterpiece "painting", "Tian Heng five hundred + Xi", I China painting "nine party", "Gao" and other works a great determination and courage, full of patriotism and sympathy for the working people, the people's perseverance and unyielding firm and indomitable spirit of the nation, and the worried and indignant the light of the liberation of desire. 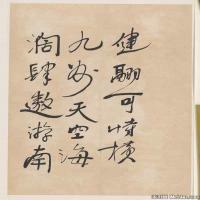 He often draw a speeding horse, morning chicken, give a person with vigor and strength, the positive spirit of exciting. Especially the horse is famous in the world, almost as a "modern Chinese painting" "symbol" and "sign". Published in 1920, "the theory of Chinese painting improvement", is his first treatise on the important works of Chinese painting reform. The ancient Fajia observe this, succeeding the not change, not enough to increase, Western painting recoverable entrant melting "famous proposition, advocating realism against plagiarism, and proposed the" modified method: learning, material (painting tools), get rid of factions." Published in 1929, "confused" puzzled puzzled and other articles, a clear advocate of realism, against P. Cezanne, H. and other artists of the arts, but also that "art Avenue, in the recourse to nature". In 1932 the "draw van order", put forward the "new seven": the position properly, the accurate proportion, no confusion, the action or attitude of natural, the degree of harmony, the character is completed, and a life like portrait by ink. And pointed out: "if I have to art foundation, we only take their sincerity please pursue good fortune, people also lack of solid division." 1942 published a new art movement of the review and look forward to a paper, the beauty of art and the artist's Cultivation: "the pursuit of the truth of the wife, a wide range of knowledge, this need not artists but also. The only artist needed to do so, so the artist at all times and in all countries noble, or poor nature of Qi, and explore what life, don't have understanding, then "masterpiece", the artist should be more extensive knowledge, making the industry in the United States, its interests and clarify its noble character". 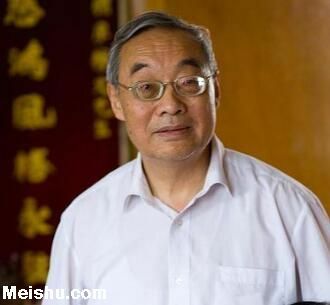 When Mr. Xu Beihong just went to France, began to have a foreign students look down on MR Xu Beihong's China, unchastened of the students said: "since you despise my country, so good, from now on, I represent my country, you represent your country, we have to wait until graduation look at." Since then, Mr. Xu Beihong tried to practice painting strive for progress with determination, study. Xu Beihong's life is self worship Ren, Ren said, "after" that day because Ren died, Xu Beihong was born. Surprisingly, he died at the age of fifty-six, Xu Beihong was only fifty-eight years old. Xu Beihong Ren collection works, but because Xu Beihong did not want to sell paintings, living in poverty, see Ren painting, can only take their picture and exchange each other. Initially, Xu painted three or four before changing any painting, and later gradually reduced, by 40s, a Xu painting can change any painting. 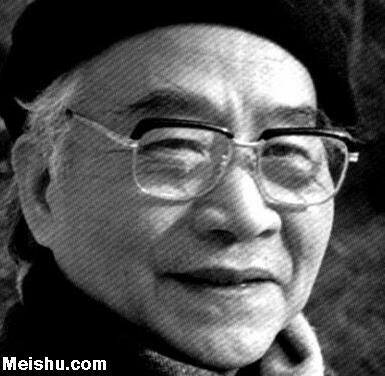 Xu Beihong wrote the chronicle as ren. In which he commented, Ren Bonian painting most wonderful, in the description of the object mouth and foot, tall and strong. In September 1929, Xu Beihong introduced by Cai Yuanpei, became Dean of Peking University Institute of arts. 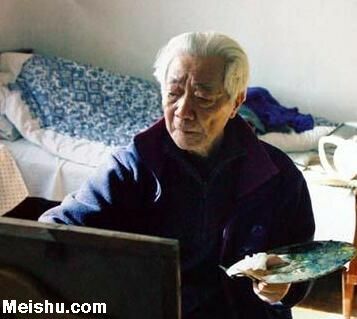 Xu Beihong turned to hire professor Qi Baishi. At the time of the dead, to Beijing painting, imitated the ancient conflict, conservative forces quite stubborn. The carpenter born Qi Baishi bold innovation, change drawing, unfortunately, do not get much response, to taunt him a piece of Peking painting. When Xu Beihong came to ride four wheeled carriage when Qi Baishi moved in, the sincere: "I am a Xing Tang old axe carpenter, dare to university as a professor?" "I can teach you more than just a student of Xu Beihong, Xu Beihong himself can teach me ah!" Xu Beihong said, "Mr. Qi, I rely on you to Xu the axe to chop chop Beijing painting on deadwood!" Xu Beihong memorial hall has two: one is located in Beijing City, Xicheng District Xinjiekou North Street, No. 53, 2010 the museum started again expansion, is expected in May 2013 opened a new museum, located in Yixing park. Beijing Xu Beihong memorial hall was founded in, it is the Chinese government on the basis of the former residence of the founding of the first artist's personal memorial hall, founded in the year of the Chinese people's Republic of China, the memorial hall of the people's Republic of China was founded in 1954. The museum site in Beijing city of Dongcheng District East grant Paul Street No. 16, Premier Zhou Enlai Pro Book "Beihong's former residence" board. 1966 after the Cultural Revolution began, the original memorial was demolished. On 1973, Premier Zhou instructed the reconstruction. Yixing Xu Beihong memorial hall, opened in October 26, 1988. In 2003, to commemorate and carry forward the great contribution of Mr. Xu Beihong to Chinese art career, the establishment of a National Book Award "the highest art academy system Xu Beihong Arts award". Chen Yuxian, Yao Simin, Cai Chao etc. 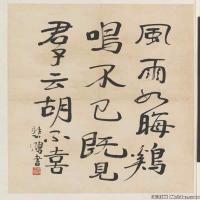 as the first prize of painting and calligraphy. Mr. Xu Beihong is the history of art China hundred years "green giant, education giant", he on the western aesthetic and cultural differences are compared, advocates of national arts to choice, improvement, formed his own theory of art improvement: "ancient law better observe, succeeding the poor change, not enough to increase, western painting recoverable entrant melting." 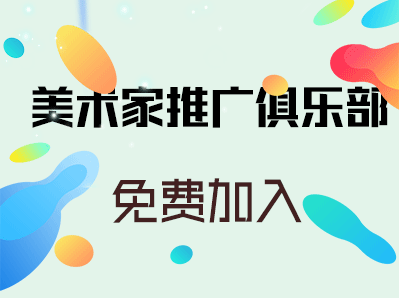 This idea and the college teaching philosophy and teaching ideas should not, and Xu Beihong Art Institute was designed to achieve the original design and art perfect combination, training innovation talents. 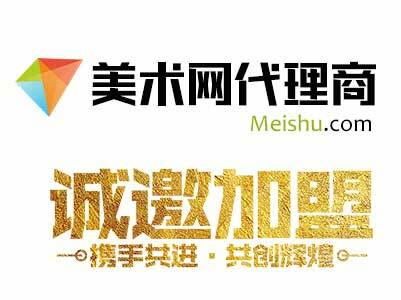 There are two so Xu Beihong title of the Art Institute, respectively, Shanghai Maritime Univeristy Xu Beihong College of art and the Renmin University of China Xu Beihong School of art.